Quick! 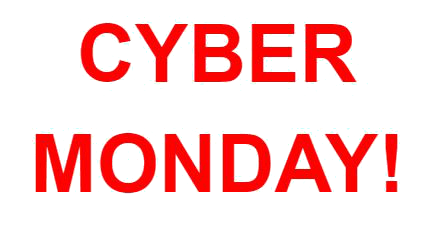 Last Minute SEO tips for Cyber Monday! Cyber Monday is finally here and the deals are going fast! Follow these last minute SEO quick tips in order to get the most traffic on your site! Users are driving online sales with their smartphones. If you want to keep up this holiday season, be sure to offer your customers a seamless mobile experience and checkout process. You want your customers to know all about your holiday sales, right? So make sure to inform them in as many ways as possible. Mention them in ads, email campaigns, blog posts, and of course social media posts. Make sure to include “2016” so customers know they are the current deals. You can even use a countdown clock to the holidays in order to create a sense of urgency. Everyone loves seeing images of the products they’re buying. Add pictures and optimize them using alt tags. This will help both your business and customers! 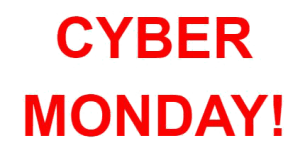 Cyber Monday is one of the biggest, if not the biggest, online shopping days of the year. Be sure you have enough bandwidth to handle traffic spikes and enough RAM to cover site traffic. The last thing you want is for your website to go down when customers are flowing in. Many customers come and go from websites on Cyber Monday just to get the deals for their holiday shopping. Use re-marketing lists for search ads to fine tune your Google AdWords campaign around a specific date.